WASHINGTON, DC (December 12, 2013) – U.S. Senators Kirsten Gillibrand (D-NY), Richard Blumenthal (D-CT), Chris Murphy (D-CT) and U.S. Representatives Rosa DeLauro (D-CT), Jerrold Nadler (D-NY), Nita Lowey (D-NY), Eliot Engel (D-NY), and Sean Patrick Maloney (D-NY) recently met with U.S. Secretary of Transportation Anthony Foxx and other senior Department of Transportation (DOT) officials to push for stronger federal oversight of Metro-North and discuss measures to improve safety. Also in attendance were representatives from the offices of Senator Charles Schumer (D-NY), Elizabeth Esty (D-CT) and Governors Andrew Cuomo (D-NY) and Dannel Malloy (D-CT). In the meeting hosted by Senator Gillibrand, the lawmakers expressed their continued concerns about Metro-North’s safety record and the strength of federal oversight of railroad, and strongly urged Secretary Foxx and Federal Railroad Administrator Joseph Szabo to take immediate steps to enact new safety measures to guard against future accidents like those experienced near Spuyten Duyvil and Bridgeport, Connecticut. They also pushed DOT to help the Metropolitan Transportation Authority (MTA) implement Positive Train Control technology that will protect against future operator error. The lawmakers also committed to working with DOT to push for the necessary resources and authority needed to implement safety improvements. Following his meeting with lawmakers, Secretary Foxx announced that DOT will be initiating a 60 day comprehensive safety assessment of the Metro-North Commuter Railroad, called “Operation Deep Dive.” This comes after a December 2, letter by Senator Gillibrand to Administrator Szabo, calling for a comprehensive safety review of the MTA system. – FRA supported Governor Cuomo’s directive for the MTA to conduct a “safety stand down” with all Metro-North and Long Island Railroad Employees and called on the MTA to immediately implement a close call reporting system (C3RS), which identifies precursors to significant safety issues. 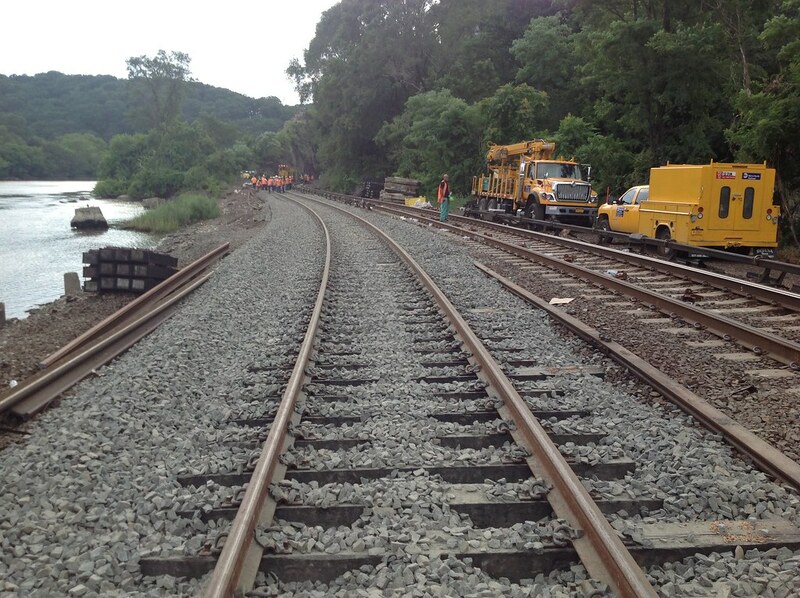 – FRA issued an Emergency Order to Metro-North requiring that they take immediate actions to improve safety by ensuring that train crews do not exceed speed limits, prioritizing high-risk areas, upgrading the signal system to ensure that speed limits are obeyed, and improving crew communication. The MTA must also submit a safety action plan to the FRA by December 31, 2013. – FRA issued an advisory to help railroads adhere to Federal regulations regarding maximum authorized train speed limits. The advisory included recommendations for railroads to review the circumstances of the December 1 derailment, provide instruction to employees on the importance of compliance with maximum speed limits, evaluate operational testing data quarterly and during six-month employee reviews, and reinforce the importance of communication between train crewmembers – particularly during safety-critical periods and extended periods of inactivity.